Last week, MSC Group and Onorato Armatori have signed a historical contract with Guangzhou Shipyard International (GSI) for the order of four luxurious ro-pax ferries. OSK-ShipTech is behind the concept design for the largest ferry order ever. “Our two largest clients are now doing business together, so to us, this is a dream-scenario, where we are appointed designers on the basis of earlier projects and long-term successful cooperation with all parties. 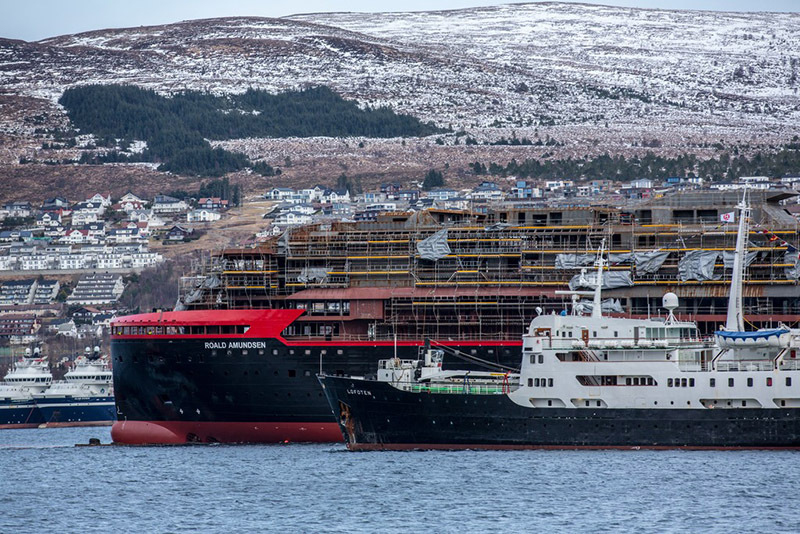 This is such a significant project, and this order is a fantastic opportunity to bring our competencies, the yard’s strength and the owners’ joint pool of many years’ of experience into play,” says CCO of OSK Group, Anders Ørgård. The contract includes an option for four additional ferries of the same type. In any case, this a record ferry order – and a quantum leap for the joint cooperation between GSI and OSK. To intensify the focus on the use of intermodal transport solutions, a cluster of ports has initiated a new port collaboration. This collaboration includes the ports of Hirtshals, Kristiansand, Larvik, Grenland, Risavika, Bergen, Gothenburg, and Zeebrugge. 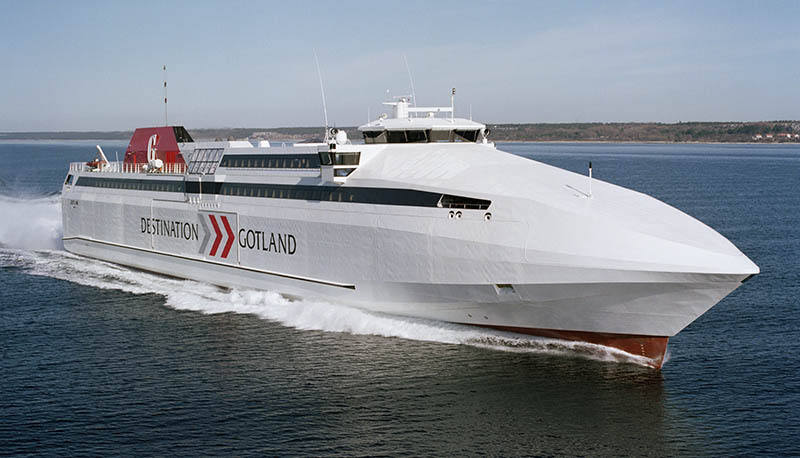 Destination Gotland will expand both the season and the number of departures on the Västervik line this summer. In total, the number of trips is increased by almost 50% compared with 2017, and this year’s line will be operated between June 1 and August 20. The Port of Tilbury’s proposals to build a new port terminal, TILBURY2, on the Thames close to the current port has been examined at Issue Specific and Open Floor hearings on February 20 and 21 by the Examining Authority, appointed by the Secretary of State. TILBURY2 intends to build on a site which was part of the former Tilbury Power Station and will include a new deep water jetty in the river Thames. The proposed terminal will act as a satellite of the main port and it is proposed that it will comprise a ferry terminal. The project will also include surface access proposals to link the site to the existing road and rail networks. Stena Line Ports is investing more than £4m in upgrades to improve infrastructure at the Port of Holyhead after recording a record year for freight growth. The upgrades will include the creation of additional freight space at the Port and also extensive refurbishment to the Terminal 3 ramp. 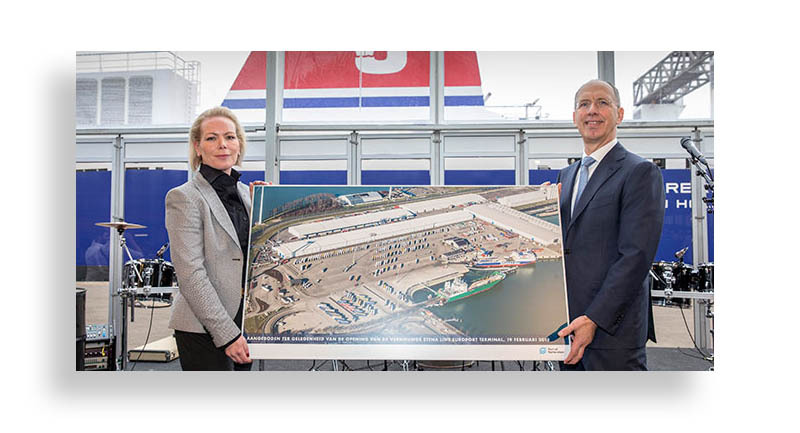 February 20 saw the official inauguration of Stena Line’s Europoort (Rotterdam) terminal. The existing berth has been upgraded and a second berth has been added. The new quay is now 212m long. The two berths will help to handle the still growing freight volumes on Harwich and Killingholme. The Carus and Winpos Groups have merged to become the major supplier of traveller-focused IT-solutions for the Cruise & Ferry industry providing solutions for Reservations, Check-in, Boarding and Point of Sale. Although this vessel is an expedition cruise ship rather than a coastal Hurtigruten unit, it is worth mentioning. Indeed, ROALD AMUNDSEN touched water for the first time during a launching ceremony at the Kleven Yard in Ulsteinvik, Norway. 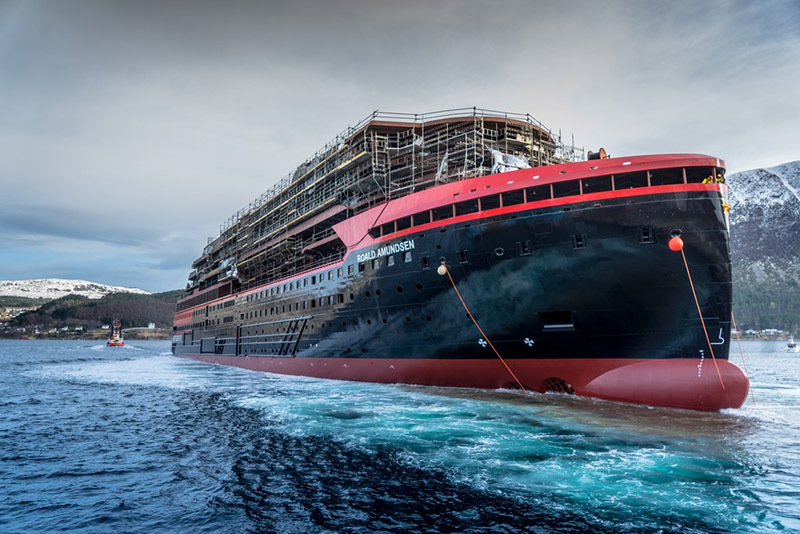 The successful launching marks an important milestone in the construction of the world’s first hybrid powered expedition ship that will be fitted with large battery packs. From the bay outside the yard, guests and crew on LOFOTEN, built in 1964 and Hurtigruten’s oldest vessel, greeted the newest addition to the fleet. Report from HRT Vijesti (in Croatian): double-ended ferry ČETIRI ZVONIKA has been completed in Croatia by the Dalmont yard at Kraljevica, on behalf of Rapska Plovidba. She will serve the island of Rab. The name means “four bells” and refers to the four bell towers in the town of Rab. She replaces the RAB (built in 1993), which has been sold to Šangulin Tours of Biograd.